CEOCFO: What is International Academy of Sleep? Avi Weisfogel: It's a group that trains, coaches and mentors so they can build a successful dental sleep medicine business. CEOCFO: How did your career and previous ventures lead to the interest and expertise you now share? Avi Weisfogel: I graduated dental school in 98. I started treating sleep patients the week after I graduated. That first patient interaction changed my life. I always knew I was going to be a different kind of dentist I was just not sure how that would happen. The patient who came in had not had a good night's sleep in years. I did the procedure (which is the simplest procedure in dentistry) just as I was taught at a weekend CE course. The patient came in for her post op two weeks later and gave me the biggest hug I ever got from a patient. As I always say in my course, "That is one more hug than I have ever gotten for doing a root canal." CEOCFO: When did you recognize the importance of treating sleep problems and the lack of knowledge that professionals have on this topic? Avi Weisfogel: Dental Sleep Medicine was not taught in dental school. I had to take a CE course to learn it. When I saw that first patient I knew I wanted to get involved. But I spent the next ten years chasing my tail trying to get referrals for dental sleep. The most successful month I had was seeing four patients. Can you imagine if you only did four crowns a month? You would go out of business. Those ten years taught me one big thing. The world of sleep has a lot of problems. Being that it was my passion I decided to do everything in my power to fix what I could. 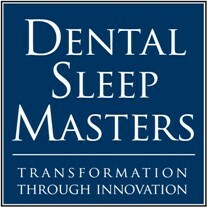 CEOCFO: Walk us through the creation, challenges and success of Dental Sleep Masters? Avi Weisfogel: This is a small world. On a given day there are may be a couple of hundred dentists actively looking to practice dental sleep medicine. Because of the competition for their service amongst the various vendors out there is fierce. I attended 7 different sleep courses and none of them prepared me to succeed in this business. Each course I took was exactly the same. Their business plan was essentially go out to different physicians and tell them that you were the guy that should be their go to sleep dentist. There was no business plan at all. No matter who I asked there was no course being offered in dental sleep business. Being that I am a guy who loves business and marketing I created a way to succeed in dental sleep. Once it was successful and duplicatable, I had to spread the word and start teaching business so others would not have to go through the same struggle I did. CEOCFO: Would you explain the problem with sleep apnea and the approach that can make a difference? Avi Weisfogel: Start with this. Physicians who graduated from medical school more than ten years ago have gotten exactly zero hours of sleep education. So, if the plan is, go out and market yourselves to physicians, and physicians are not educated on the subject how can you expect them to refer you patients? To put I in simpler terms I have been in thousands of physicians offices across the country and I have found maybe a handful that screens their patients for sleep disorders. If you take it a step further, I have found exactly zero physician offices, that screen all of their patients for sleep disorders in a non biased fashion. This does not even take into consideration that 99% of the patients who are screened and do test positive for sleep apnea are put on a CPAP machine to help them breathe. Our model has a simple principle. Every physician we work with screens every patient with absolutely no bias. Every patient that screens positive gets tested with a home sleep test. All patients who test positive for sleep apnea are treated. Unlike the rest of the world our patients are given a choice. It ends up with the dentists treating 60-65% of all patients who test positive. CEOCFO: How do you grew the network of physicians and dentists who want to take the steps to become Dental Sleep Masters and help their patients? Avi Weisfogel: The first place we start is with our own patients. Obviously we screen test and treat our own patients but at most that usually equals 100 patients or so. We then contact the physicians of those 100 patients and let them know we are treating their patient for sleep apnea and that we could run a program in their office that would help the rest of their patients. We then network from there. CEOCFO: What is involved in training and implementation of your program? Avi Weisfogel: Daily emails/texting/forum communication. 2 Weekly phone calls. Monthly webinars. Quarterly Retreats plus on site visits as needed. This is by far the most intensive coaching program in the country. We know how hard it is to succeed in sleep medicine so we go the extra mile for our members. CEOCFO: What is ahead for Dental Sleep Masters? Avi Weisfogel: Only time will tell but we will keep adding good quality members who want to succeed in the world of sleep and we will keep supporting our existing members as they become the go to person for sleep in their area. CEOCFO: What would you like to tackle next? Avi Weisfogel: Honestly I would love to see peace in the sleep world. The sleep world is fractured. Even though I am not exactly the most liked guy in the would I love to be the guy to bring that entire room together for a group hug.